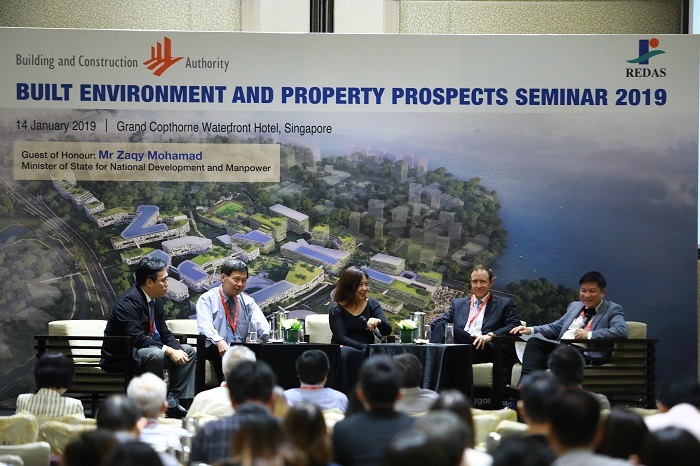 Cheong was speaking on the residential market at the annual Built Environment and Property Prospects Seminar, jointly organised by the Building and Construction Authority (BCA) and the Real Estate Developers Association of Singapore (REDAS) on Jan 14. “The luxury market was relatively less affected by the cooling measures, as foreign buyers now see the higher ABSD [additional buyer’s stamp duty] as part of the entry price for a good valued investment in a stable market,” says Regina Lim, JLL’s head of capital markets research for Southeast Asia. More foreign buyers are picking up bigger ticket properties in the $7 million to $10 million range — a sign that they are buying for their own use, she adds, unlike in the past, when they purchased smaller units as investment properties. About 60 new projects yielding 20,000 new units are in the pipeline for launch this year. However, 47% of the units are from six developments with over 1,000 units each, notes Savills’ Cheong.